A school pupil from Glasgow’s Southside has been chosen to represent their school at a national debating and creative event in connection with the National Theatre of Scotland and National Theatre of Great Britain’s productions The James Plays by Rona Munro. Peter Ward Stoddart, 17, a student at Kings Park Secondary, has already taken part in a workshop and debate facilitated by the National Theatre of Scotland, and has now been selected to travel to London this weekend (3rd-5th October) to see The James Plays trilogy as well as participate in workshops with playwright Rona Munro and National Theatre of Great Britain’s Head of Voice, Jeannette Nelson. 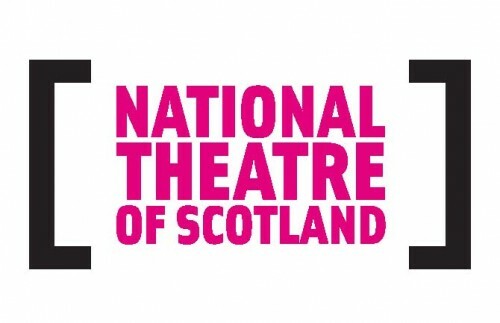 Four other students from Scotland, aged 16-25, as well as six young people from the National Theatre of Great Britain’s Young Studio will take part in the weekend, which will be held in the NT’s newly opened Clore Learning Centre. The project, devised by the National Theatre of Scotland’s Learn Department, has given a voice to 16-25 year olds who want to be heard, with many first-time voters among the participants in Scotland. The selected young people will explore the power of debate whilst learning from theatre professionals via speech and debating workshops. The opportunity has been created in connection with The James Plays productions, currently on at the National Theatre of Great Britain, with special on-stage seating and the audience forming their very own People’s Parliament. Gillian Gourlay, Learning and Outreach Manager for National Theatre of Scotland, said: “This has been an unforgettable year in Scotland in terms of having the opportunity to witness and take part in live debate, be it on TV, radio, or on the streets and in a year where 16-17 year olds have been given the opportunity to have their political voice heard, we wanted to explore the power of debate and why people debate a little bit more. Paul Grimes, Social Sciences teacher at Kings Park Secondary, said: “The pupils were delighted to be part of this project and really enjoyed the debate workshop in particular. This is a great opportunity for our student Peter and I am sure he will really enjoy the bright lights of London and the all the drama that goes with it! The James debates project has given our school an opportunity to reward wider achievement in our young people that they will both learn from and enjoy”. Mathew McMullan from Woodmill High School, Dunfermline, Izaac Gaines from Dundee Rep Youth Theatre, Henry Conklin from Edinburgh University Theatre Company and Laura Cruickshank and Anya Brzeski, both from Crieff High School. James I, James II and James III – are a new cycle of history plays by award-winning playwright Rona Munro and directed by Laurie Sansom, Artistic Director of the National Theatre of Scotland, which are currently being presented in an unprecedented co-production by the National Theatre of Scotland, Edinburgh International Festival and the National Theatre of Great Britain, during the at the National Theatre in London after a successful run at the Edinburgh International Festival in August.